Το Φεστιβάλ Εθνογραφικού Κινηματογράφου Αθήνας – ethnofest συμμετέχει φέτος στα… #blogoscars! Από σήμερα και μέχρι την Παρασκευή 24/2 θα ανακοινώνουμε (σύμφωνα με τους κανονισμούς) από μια κατηγορία κάθε μέρα, ξεκινώντας από το βραβείο Β’ Αντρικού. [ This year Athens Ethnogrphic Film Festival – ethnofest is in… #blogoscars! 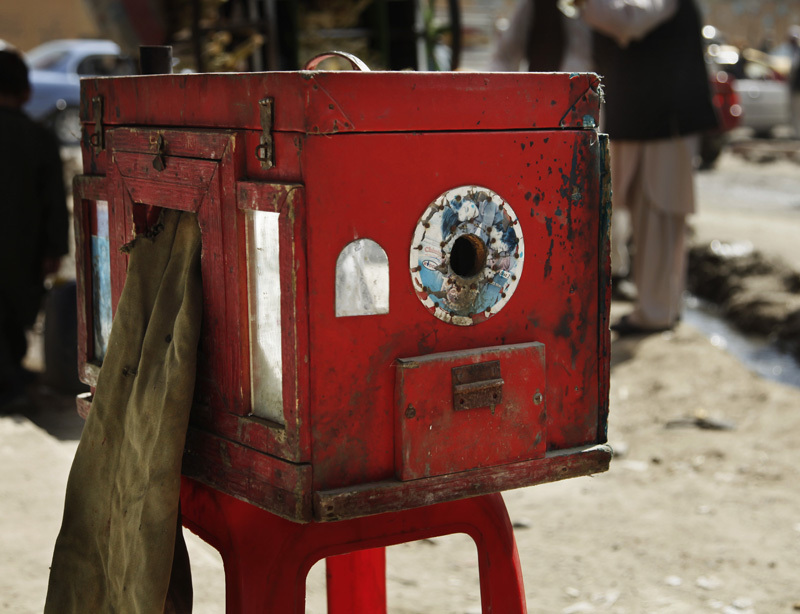 As of June 2011 Afghanistan is one of the last places on earth where photographers continue to use a simple type of instant camera called the kamra-e-faoree for means of making a living. The hand-made wooden camera is both camera and darkroom in one and generations of Afghans have had their portraits taken with it, usually for identity photographs. At one stage it was even outlawed when former rulers of Afghanistan, the Taliban, banned photography, forcing photographers to hide or destroy their tools. The aim of the Afghan Box Camera Project is to provide a record of the kamra-e-faoree which as a living form of photography is on the brink of disappearing in Afghanistan. To this end you will find instructions on how to use and build a kamra-e-faoree, general background information on the camera and photography in Afghanistan, a variety of photo-galleries and photographer portfolios, and links to resources – as well a bigthank you to all of those kind folk who helped us along the way. 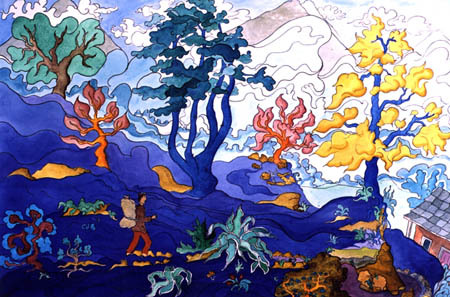 We also delve just a little into large format photography in Afghanistan and hand-coloured portraits. The information we provide is based on a visit made to Afghanistan between April and June 2011 which focused on the capital Kabul and the northern city of Mazar-e-Sharif, as well as on previous visits to the country and region over the years, and ongoing research. The project is the work of Lukas Birk and Sean Foley, and we happily invite others to join with us to help document this vanishing livelihood and art form. 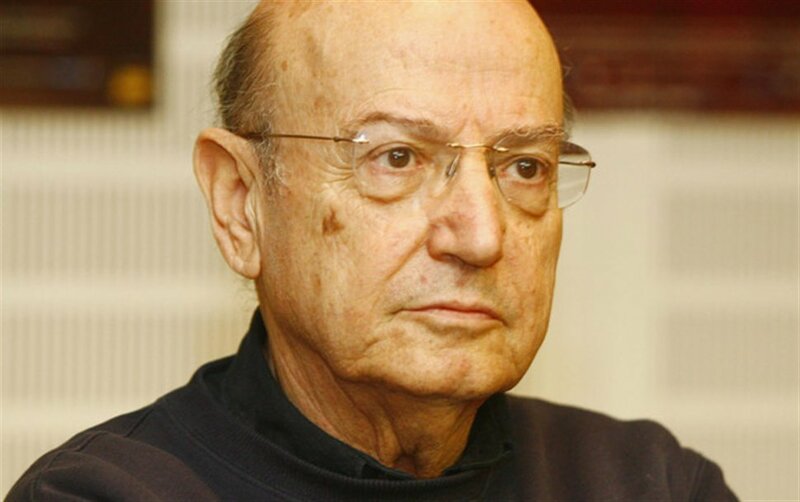 Greek filmmaker Theodoros (Theo) Angelopoulos was killed in a road accident while working on his latest film. While we start the preparations for the next edition we would like to send our best wishes for these days and the new year!